Catherine Beale has been giving talks and lectures to a wide variety of audiences for over a decade. 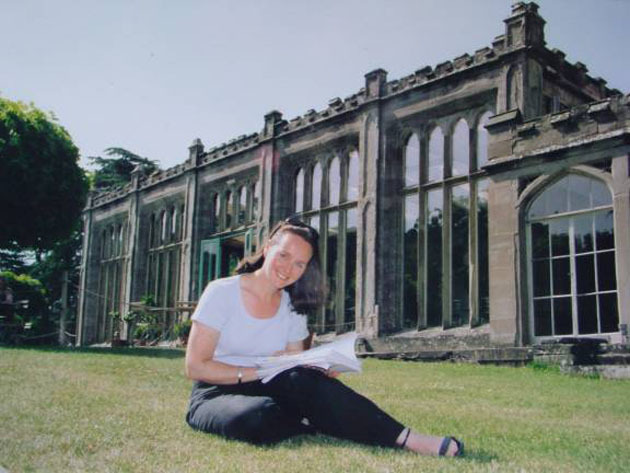 In 2003-4 she gave a sell-out season of lectures on various aspects of Hampton Court at the house itself. She takes great care to tailor talks to the individual group being addressed, and understands the need to balance information with entertainment. Champagne and Shambles: the lecture to accompany her book of the same name – emphasising different aspects for different groups – eg Johnny’s involvement with music (including Elgar), the agricultural labourers’ union, the gardens at Hampton Court, the fine art of Hampton Court, and Henry’s death on Mont Blanc. She uses Powerpoint either on her own PC or she can bring a CD for insertion into your group’s laptop. Similarly, she can also bring a digital projector (which she has to hire – currently £20 payable by your group) or use yours. You need provide only a screen (not always necessary if you have a clean blank wall) and a glass of water. She usually speaks for about 45 minutes and takes questions afterwards, but will happily comply with your requirements. Arts Festivals, History Societies, Harrow School, the Historical Association, County Historic Parks and Gardens groups, The Traditional Hereford Cattle Breeders Society, the Arkwright Society (Cromford), Museums and Arts groups, U3A, and regional groups of the National Trust.